"This is the land of milk and honey"
The man who quit his job, went to his village and bagged an Entrepreneurship Award, says agriculture is where the money is. He found that starting a dairy business would be the best way to meet his objective of creating jobs for his fellow villagers. So in 2009, he started Kalash Dairy Udhyog in his village in Dhorey, Parsa. Within a few days, his dairy was selling milk to costumers in nearby cities. 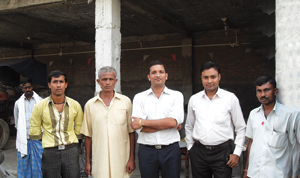 “I could see that there was more demand for milk in the market than I could supply,” remembers Yadav. After a few months, there was no looking back for the dairy owner. Global Entrepreneurship Week took notice of his endeavor in 2010 and decided to connect him to different organizations and experts working in dairies. After being facilitated with the Surya Social Entrepreneurship Award in 2011, he was able to take his company to the next level. Now, Yadav is a proud owner of Kalash Cattle Farming Private Limited, a modern cow shed where raw milk is collected and Kalash Milk Industry, where it is processed and products like ice cream and cheese produced. To add to that, Kalash Dairy Udhyog now has three outlets in Birgunj, Bara and Sarlahi. Kalash Dairy Udhyog produces ice creams with 32 flavors. 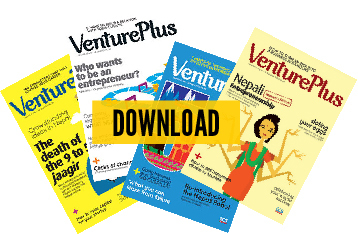 “I have plans to expand my business in Kathmandu and Pokhara in the next five years,” he says. It seems that Yadav, who started the venture to provide jobs to other people, has already made a difference in the lives of more than four dozen people. His dairy has around 50 people on its payroll. His team consists of vets who keep the cows and buffaloes healthy and technicians who check the quality of his products. “Most of the employees are from families under the poverty line and struggling to make ends meet.” His company has also distributed about 20,000 cows and buffaloes to the villagers in collaboration with the local government and the Department of Livestock. There are many other people who have a similar story to tell — thanks to organizations such as the Samriddhi Foundation and initiatives such as the Global Entrepreneurship Week. Just What have you any idea about writing proper essay?